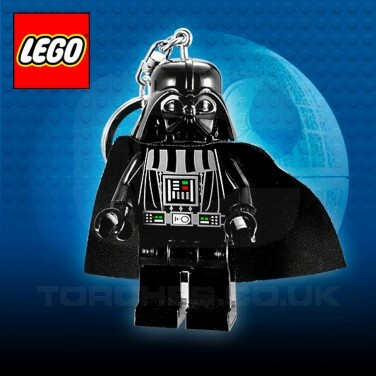 Iconic movie bad guy Darth Vader gets the Lego treatment to become a very cool keyring torch! At 8cm tall, this Lego figure Darth Vader is just the right size for keys and bags to shine light just when you need it most and with LED sin his poseable feet, you can direct the flow of light from your torch! Simply press and hold the button in his belly and Darth Vader's feet will illuminate with bright white LED to cut through the dark.